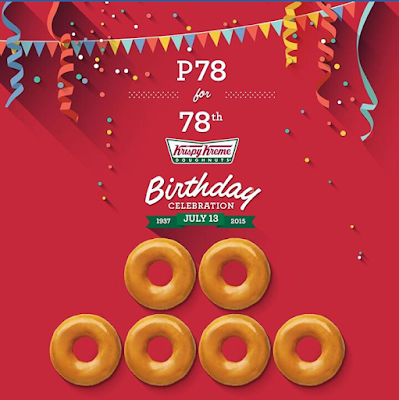 As a thank you gift on its 78th Birthday, Krispy Kreme is sharing a Box of 6 of its World Famous Original Glazed doughnuts for only P78. 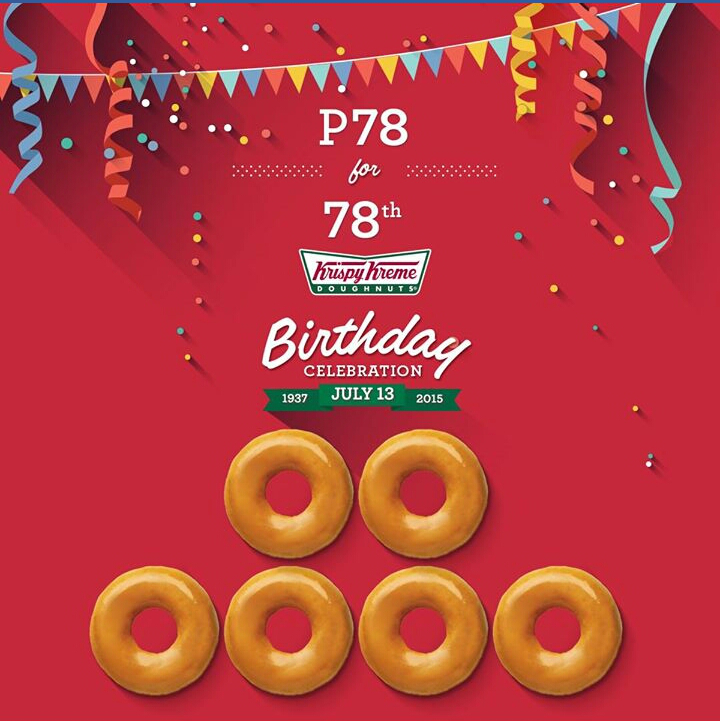 Offer is valid only on July 13, 2015 from 7am to 8pm in participating Krispy Kreme Stores in the Philippines. Buy Half a Dozen Original Glazed Doughnuts for only P78 in participating Krispy Kreme Stores. It’s a one of a kind 78th Birthday Treat! Click here for full mechanics.